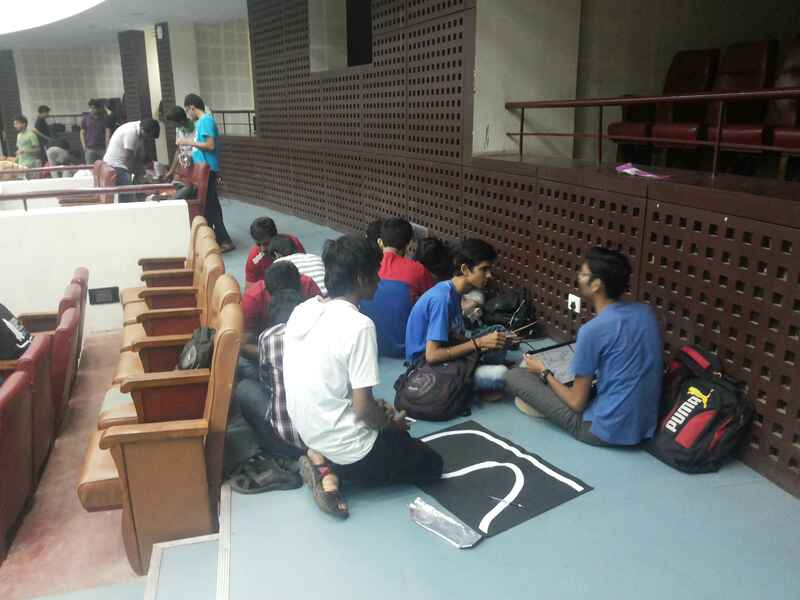 A new initiative by Technology Robotix Society, the Pathfinder(line following) workshop for IIT Kharagpur’s freshers, conducted in Kalidas Auditorium was both intellectually stimulating and challenging. The number of freshers who turned up for the workshop was good, and all were ready to embrace the challenge of making their first line follower. However, what was different about this line follower was the fact that it did not require a microcontroller, as most traditionally do, to carry out its function, but rather it used a sensor circuit and an Op-Amp(Operational Amplifier) - BJT(Bi-polar Junction Transistor) circuit. This different approach of making a line follower was deemed the best method for implementing the same, for the freshers, at this stage, mainly taking into consideration its simplicity. 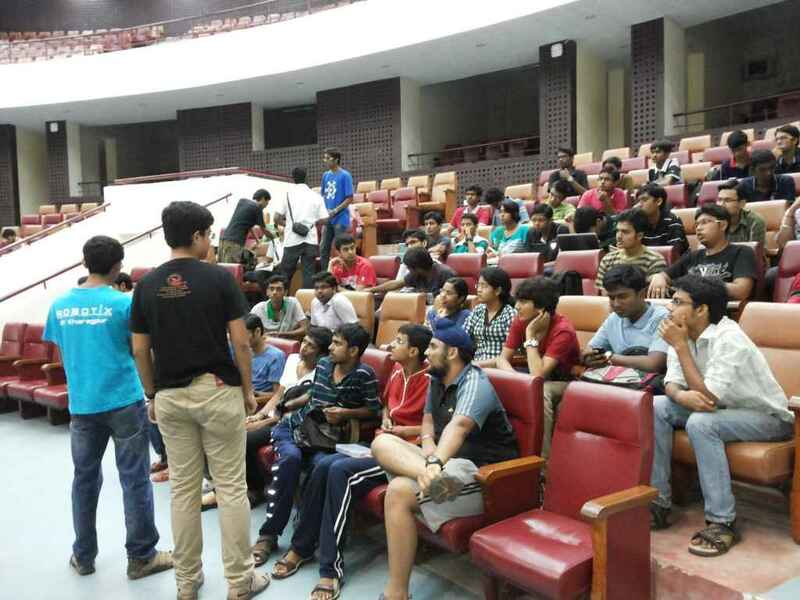 The freshers were divided into groups based on their knowledge and awareness of the procedures involved. Based on this categorisation, there were primarily three groups, one for those who didn’t know soldering, one for those who knew soldering but had no idea of the circuits, and the third one for those who had some idea of the same. There were mentors suitably allotted to each of the three groups, who ensured that the freshers, at each and every stage, maintained their enthusiasm and understood everything. The freshers were told to implement each circuit the moment it was taught to them, and then move on to the next circuit. The freshers had also made groups among themselves, wherein each group would collectively work on a line follower. 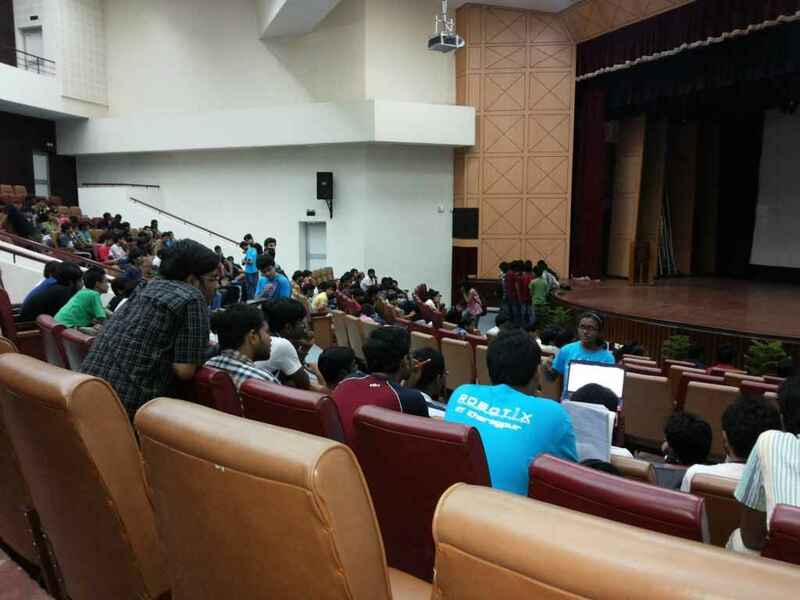 The mentors dealt with all the freshers’ queries, and guided them throughout the process. A good number of fresher groups managed to solder their circuits,while a few groups managed to integrate them onto their line followers. Debugging the robot at the final stage was a challenge, nevertheless a few groups emerged victorious, and their line followers saw the light of the day. The workshop  was an enriching experience for all the freshers present, and we were glad that at the end of the day, all the freshers had working knowledge about making a line follower and  were confident about implementing the same, which is definitely an achievement for them, at this stage. The workshop was definitely a success with the results reflecting our efforts to make it possible. If you want to make your own line follower robot, check out the ‘line follower without micro-controller’ tutorial on our website.